The Danish Air Force 726 Eskadrille, based at Aalborg flying the F-104G exchanged with the German Air Force JG74 (first Staffel) based at Neuburg, also flying the F-104G. 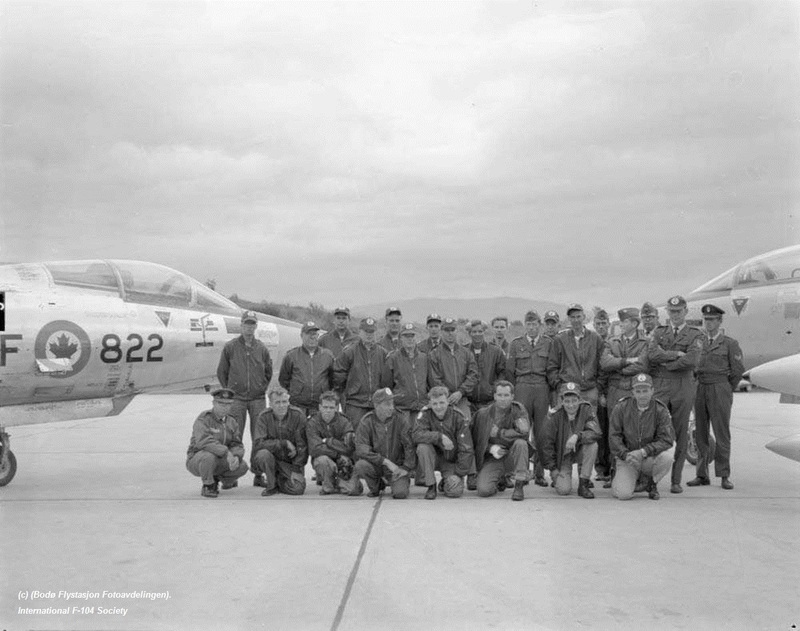 It was a two-way exchange where both squadron took four Starfighter to the other airbase. Transport was carried out by German Noratlas and Danish C-54 aircraft. The Royal Air Force 11 Squadron, based at Leuchars, flying the Lightning F.6 exchanged with the Italian Air Force 21 Gruppo (53 Stormo) from Cameri, operating the F-104G Starfighter. It was a two-way exchange. 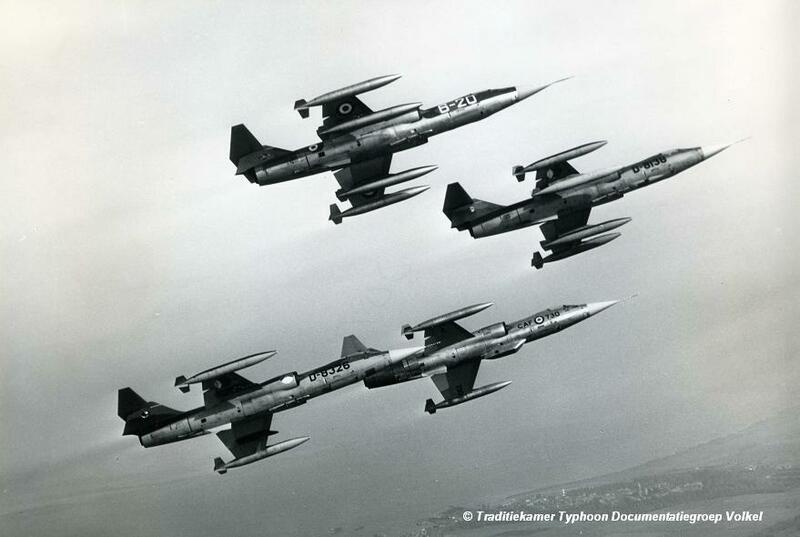 Starfighters seen in the UK were F-104Gs MM6525/53-05, MM6526/53-02, MM6545/53-03 and MM6568/53-01. All left the UK on 25th of April. Transport was arranged by C-119G MM52-6019. 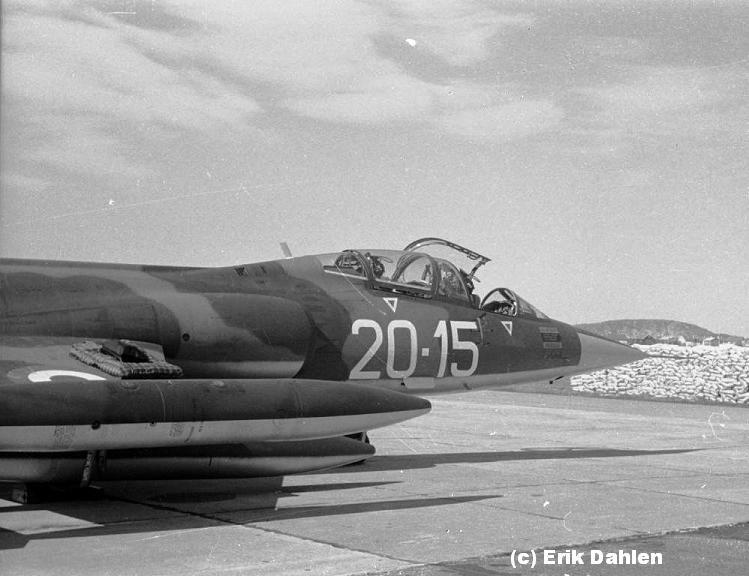 The Dutch Air Force 312 Squadron, based at Volkel, operating the F-104G Starfighter, exchanged with Danish Air Force 724 Eskadrille, based at Skrydstrup, flying the Hawker Hunter F.51. At least the Danish came to Holland with Hunters. Seven different Hunters were seen during that period. The Dutch Air Force 323 Squadron, based at Leeuwarden exchanged with the Italian Air Force 10 Gruppo (9 Stormo) from Grazzanise this year. 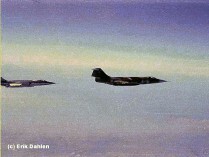 First the Dutch Starfighters flew to Italy in June and then in October the Italian Starfighters came over to Holland. At least D-8110 and D-8308 were seen in Italy (see photo beneath thanks to Ernesto Russo). 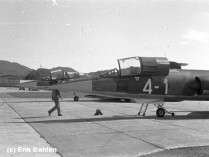 The other Dutch aircraft in Italy are still unknown. 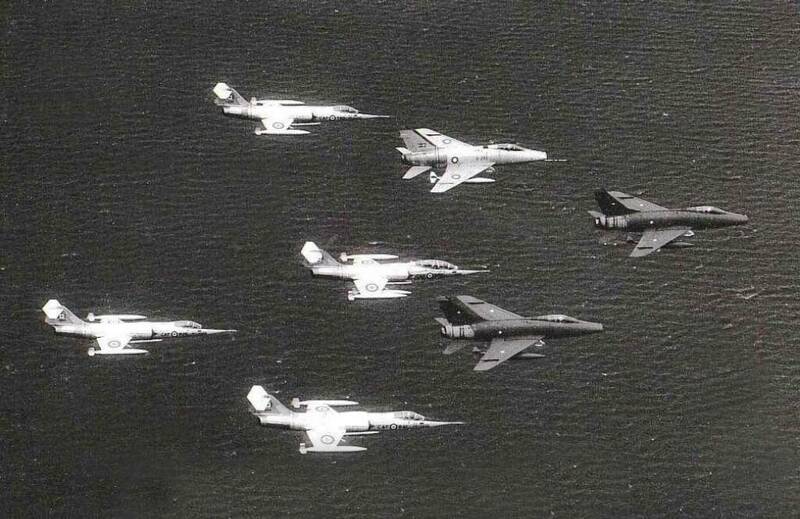 During this period a number of Royal Navy Buccaneers from a unit based at Lossiemouth were seen operating with MFG 1 at Schleswig Jagel, flying the F-104 Starfighter. 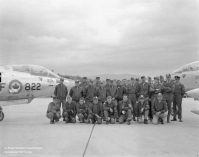 This event looks like a one-way squadron exchange but we still need confirmation. It also could have been a deployment for a Naval exercise or something else. Who can confirm? 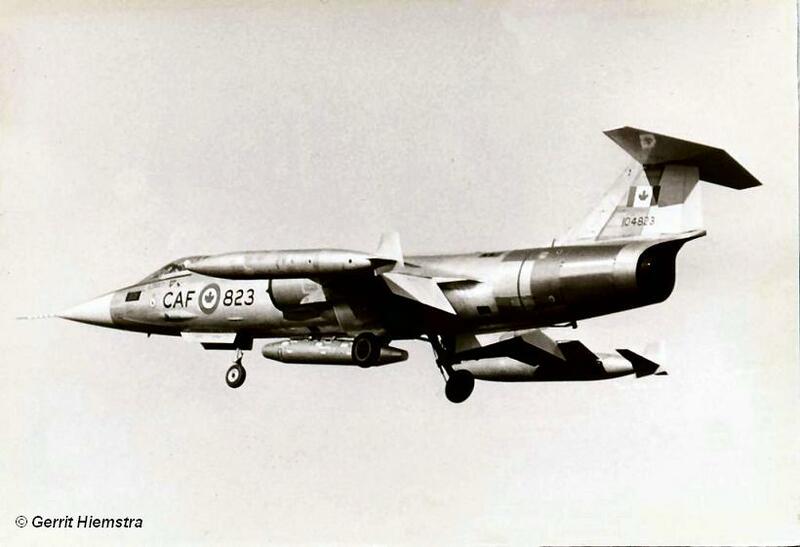 The Canadian 427 Squadron, based at Baden-Sollingen, exchanged with the Italian Air Force 21 Gruppo (53 Stormo) from Cameri and operating the F-104G Starfighter. 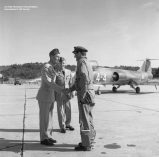 It is not sure if it was a one or two-way exchange but at least the Canadian Starfighters flew to Italy and it looks like it was a one-way exchange. It was the second exchange where 21 Gruppo was involved this year. The Canadian Armed Forces 421 Squadron, based at Baden-Sollingen exchanged with a Danish Air Force 725 Eskadrille based at Karup and flying the F-100D Super Sabre. It was a 2-way shifted exchange. 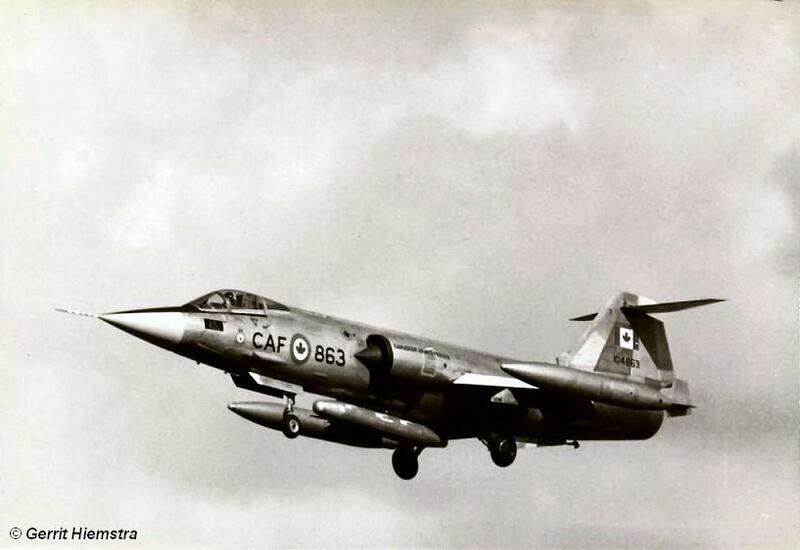 First the Danish aircraft flew to Germany in February and lateron the Canadian Starfighters flew to Denmark in July. One of the participating Canadian aircraft, CF-104 104831, was lost in an accident on July 9th. It crashed after an in-flight fire due to foreign object damage after take-off from Karup, Denmark. The pilot, Capt. John R.Dunlop ejected safely. Beneath a formation photo taken during the event. The Belgium Air Force 349 Squadron (1 Wing), based at Beauvechain, exchanged with 23 Squadron at Leuchars, UK flying the Electric Lightning F.6. It was a two-way exchange. It was the first time the Belgian ground crew flew in a C-130. They departed home base with the RAF C-130 that brought the ground crew of RAF Squadron to Belgium. 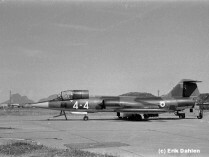 The Turkish Air Force 144 Filo (4AJU), based at Murted flying the F-104G exchanged with the German Air Force JG74 (2nd Staffel) based at Neuburg, also flying the F-104G. It was a one-way exchange. Only the Germans flew to Turkey. 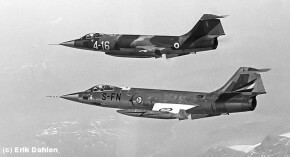 The German Air Force JG71 based at Wittmundhafen, flying the F-104G Starfighter exchanged with French Air Force EC 3/2 "Alsace" based at Dijon, flying the Mirage IIIE. It was a two-way exchange. The Canadian 422 Squadron (4 Wing), flying the CF-104 Starfighters from Baden-Sollingen had a two-way exchange with the Norwegian Air Force 334 SKV flying the F-5 from Bodo. 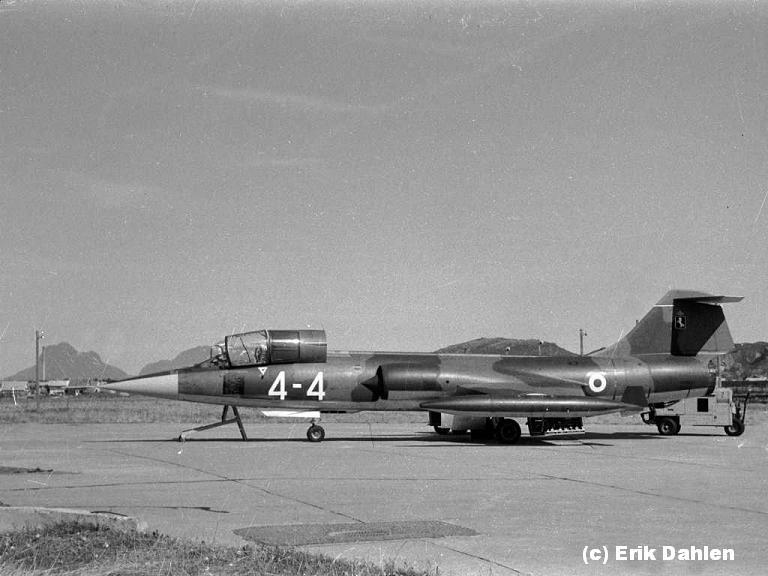 One of the CF-104s seen at Bodo was 12822 (see photo beneath taken at Bodo, thanks to Bodø Flystasjon Fotoavdelingen and Tom Svendsen). 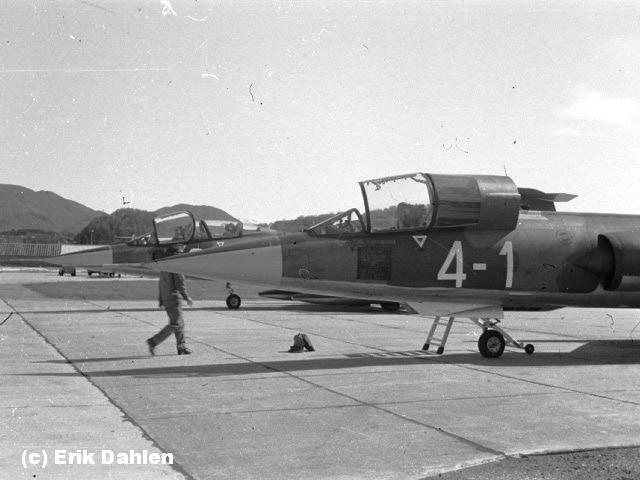 In total 5 CF-104s flew to Norway with 8 pilots. 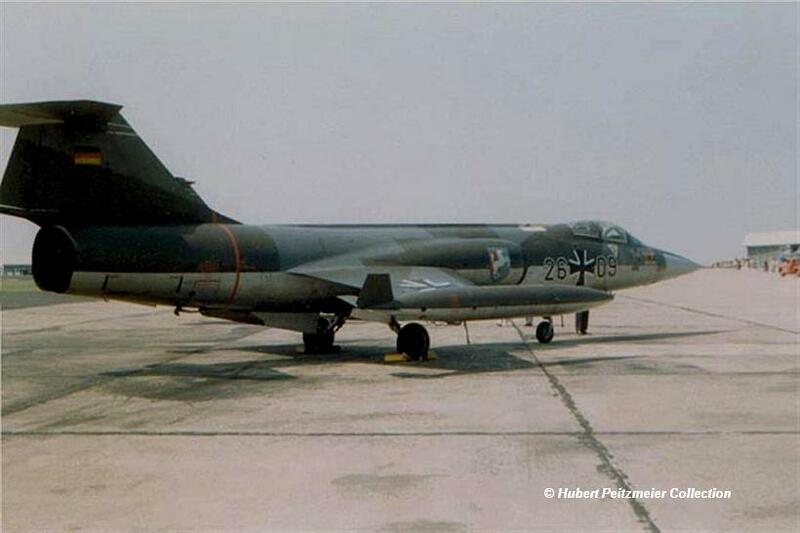 The German Air Force JG71 (1st Staffel) based at Wittmundhafen, flying the F-104G Starfighter exchanged with Royal Air Force 111 Squadron based at Wattisham but temporary based at Binbrook due to runway repair on their own base, flying the Lightning F.3. It was a two-way exchange. This was the return exchange by the Italians after the Norwegians visited Grosseto in March. The Norwegian Air Force 331 Skv, based at Bodo exchanged with the Italian Air Force 9 Gruppo (4 Stormo) from Grosseto. Aircraft involved were TF-104G MM54251/20-15, RF-104G MM66? ?/4-1, MM6646/4-16 and MM6647/4-4. 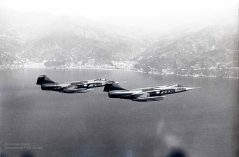 The photos beneath were all taken by former Norwegian 104 pilot Erik Dahlen during this exchange showing italian aircraft 4-1, 4-4, 4-16 and 20-15. 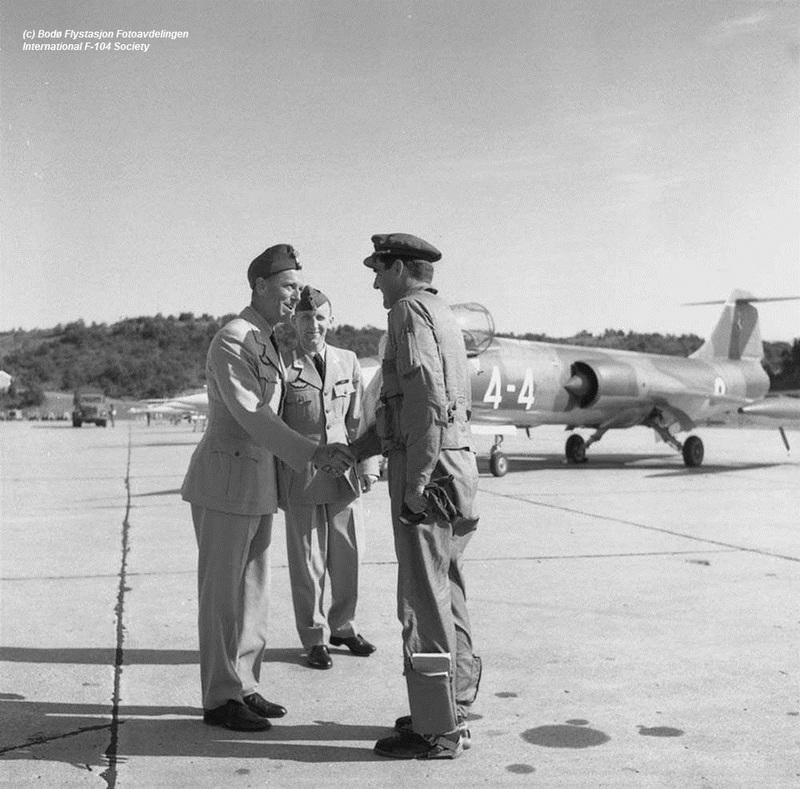 Some taken on the flightline of Bodo and some during missions over Norway flying formations together with Norwegian F-104Gs (62-12234) FN-S and F-104G (62-12238) FN-N. Also a photo is shown showing the friendly welcome of the Italians (Bodø Flystasjon Fotoavdelingen). 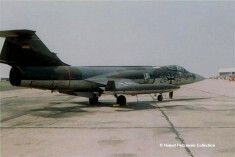 The German Air Force JBG36 (1st Staffel), based at Hopsten and flying the F-104G Starfighter exchanged with a USAFE F-4C Phantom squadron within the 81 TFW based at Bentwaters. 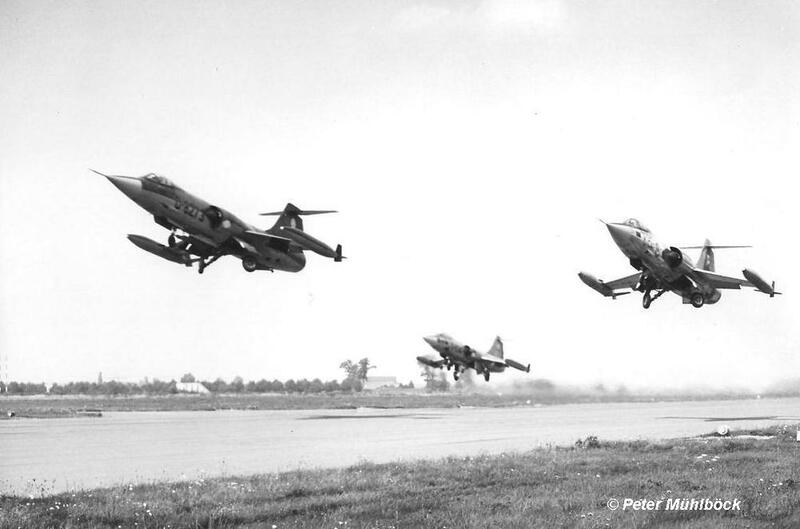 At least four Starfighters flew to the UK being 26+09, 26+16, 26+26, 26+29. It is unknown if the Americans also came over to Germany. Beneath a photo of 26+09 taken at Upper Heyford, thanks to Hubert Peitzmeier. 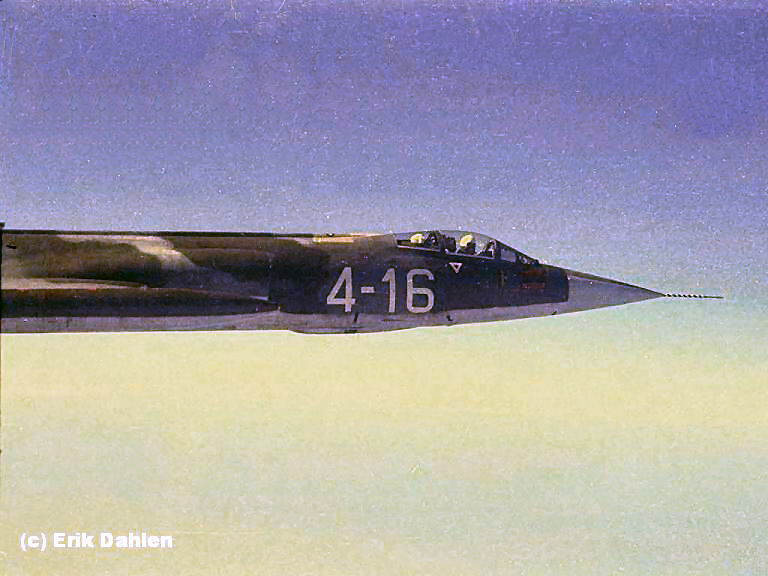 The German Air Force JBG31 (2nd Staffel) flying the F-104G, stationed at Norvenich exchanged with the Norwegian 336 Skv based at Rygge, operating the F-5A, during this period. It was a two-way exchange. This year there was a squadron exchange between the Belgium Air Force 23 Smaldeel (10 Wing), operating the F-104G from Kleine Brogel and Italian Air Force 154 Gruppo (6 Stormo) based at Ghedi, flying the F-104G. It was a one way exchange. Only the Belgium Starfighters flew to Italy. The German Air Force AG52 flying the RF-104G exchanged with a USAFE squadron based at Woodbridge (78 TFS/81 TFW or 79 TFS/20 TFW) in the UK. It is unknown if it was a 1 or 2 way exchange. The Canadian Armed Forces 430 Squadron from 1W, based at Lahr exchanged with the Dutch Air Force 322 Squadron based at Leeuwarden. It was a 2-way exchange. There are stories that the exchange started on the 24th but we stick to 23rd. 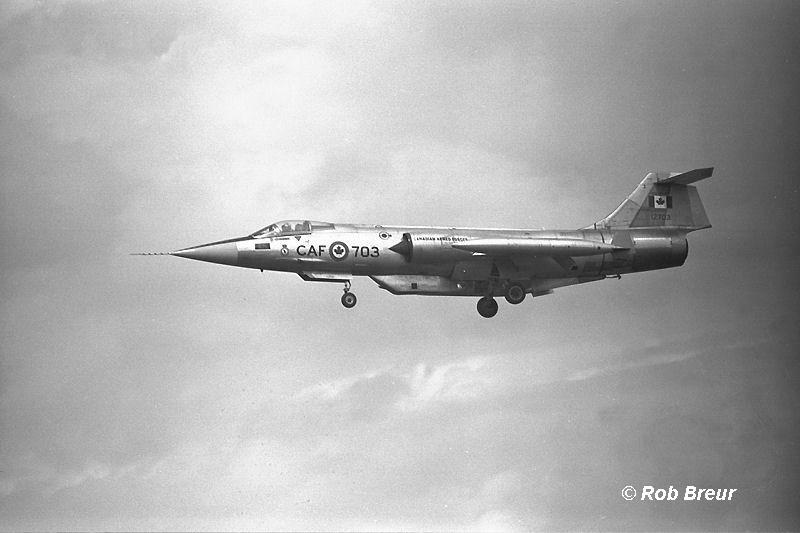 Participating Canadian aircraft at Leeuwarden AFB were: 12703, 104819, 104823, 104845 and 104863 all CF-104s. One of the participating Canadian pilots was Bob Perry (430 Squadron). The weather in Lahr was very bad these 10 days so most of the time social events have been organized instead of flying around. 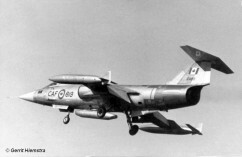 Two aircraft had VICON pods mounted which were likely loaned from 439 or 441 squadron to carry luggage. Two aircraft could be identified in Lahr being the light grey D-8104 and the camouflaged D-8273 as seen on the first photo beneath thanks to Peter Mühlböck. 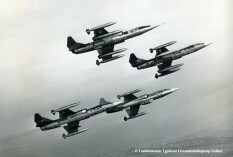 the other photos show the participating CF-104s at Leeuwarden taken by Gerrit Hiemstra (23 September) and Rob Breur. The German Air Force JBG31 flying the F-104G, stationed at Norvenich exchanged with the Norwegian 338 Skv based at Örland, flying the F-5A, during this period. It was likely a one-way exchange where only the Norwegians flew to Germany. The Italian Air Force 154 Gruppo (6 Stormo), based at Ghedi exchanged with the Dutch Air Force 311 Squadron based at Volkel. It was a two-way exchange. Aircraft seen at Volkel were MM6567/6-10, MM6577/6-07, MM6603/6-05 and unknown MM serial with code 6-20 (very likely MM6541). 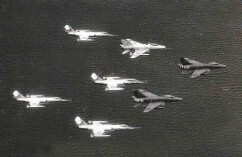 During this period an other squadron at Volkel (306 Squadron) was exchanging with the Canadians (439 Squadron) which gave nice formations like seen on the photo above. The Dutch Air Force 323 Squadron, based at Leeuwarden exchanged with the Italian Air Force 10 Gruppo (9 Stormo) from Grazzanise this year. First the Dutch Starfighters flew to Italy in June and then in October the Italian Starfighters came over to Holland. Aircraft seen at Leeuwarden were MM6568/9-03, MM6539/9-11, MM6599/9-02 and MM6572/9-04. Photo beneath, showing MM6599 was taken at Leeuwarden by Gerrit Hiemstra. 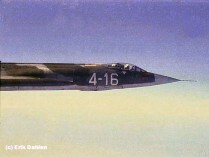 The German Air Force JBG36 (2nd Staffel), based at Hopsten and flying the F-104G Starfighter exchanged with the Italian Air Force 10 Gruppo (9 Stormo) based at Grazzanise, operating the F-104 Starfighter. It is unknown if it was a one or two-way exchange.